Japanese imaging major Canon today introduced ‘EOS RP’, the second addition to its EOS R range of full frame interchangeable-lens mirrorless cameras. The Canon EOS RP utilises company’ proprietary technology, DIGIC 8 image processor with Dual Pixel CMOS AF, EOS RP – all packed in a compact body with enhanced ergonomics for easy operability. The Canon EOS RP can be coupled with RF mount adapter, allowing users full access to Canon’s existing range of more than 70 EF and EF-S lenses. The RF mount sports a short flange focal distance of 20mm. If you are an existing EOS users, you can mount your EF and EF-S lenses using the optional mount adapter which the company announced with the camera. The ‘Auto Lighting Optimiser’ feature balances the brightest and darkest point to accentuate the details of the images to deliver a well exposed image, even in backlit conditions. The EOS RP is sports a 26.2MP full frame CMOS sensor and has native ISO range of 100-40,000, which can be expanded to ISO range of 50-102,400, for producing great shots in low light conditions. There is also a ‘Dual Sensing IS’ that detects camera shakes from its gyroscopic sensor and the CMOS sensor provides image stabilisation that allows user to capture images at shutter speed of up to five stops slower, most useful especially in low-light situations. The in-camera ‘Digital Lens Optimiser’ corrects aberrations, diffraction and optical distortions as you shoot. Users will be free to create unique compositions without worrying about the focus, using the 4,779 selectable AF positions within the expanded AF area that covers approximately 100 per cent vertically and 88 per cent horizontally of the frame. For users looking to create images with a large depth of field where everything in the image is in focus, the ‘Focus Bracketing’ feature of EOS RP would come in handy, especially when shooting macro. It automatically shoots a series of photos based on pre-determined settings such as number of shots, focusing range and first focus point. The Canon EOS RP can also shoot in 4K resolution at 24p/25p video footage allowing users to focus accurately and shoot smoothly. The camera weighs only 485 grams which makes it easy to carry and handle especially for users who are new full-frame cameras. Users can also seamlessly transfer images from the Canon EOS RP to either a smart device or computer via Wi-Fi and Bluetooth Low Energy (BLE) technology. 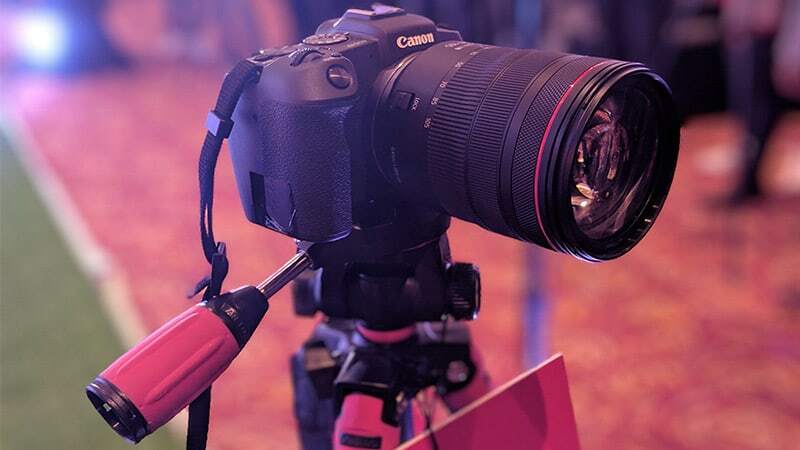 The Canon EOS RP costs Rs 110,495 inclusive of all taxes for the body only and Rs 199,490 inclusive of all taxes with the RF24-105mm f/4L IS USM lens.